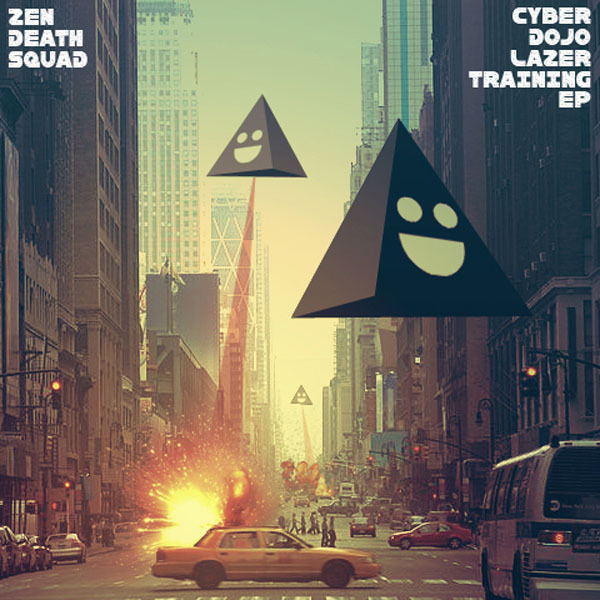 While Tipper's mid-tempo wobble has dominated the glitch hop charts at Addictech this year, the best UK Glitch Hop release for me has been ZDS's Cyber Dojo Lazer Training. Here's a trio of UK producers who took the US by storm with their live show on their autumn tour. They've been locked away writing over Christmas so I'm expecting big things for 2012. These Bristolians have been releasing bass for a while now, but their debut on Skrillex's label took me completely by surprise when I heard Funk Blaster on Zane Lowe's Radio 1 show. The Max Out EP was good, but this sounded like nothing else on the radio... until Doctor P and Flux Pavilion release Superbad! There seems to be quite a trend for this kind of funked-up not-dubstep at the moment for which I'm wholly in favour. Check out Must Be The Feeling on Nero's album, DCarls All In (see below) plus Bobby Tank's Vanquish EP for more in this direction. 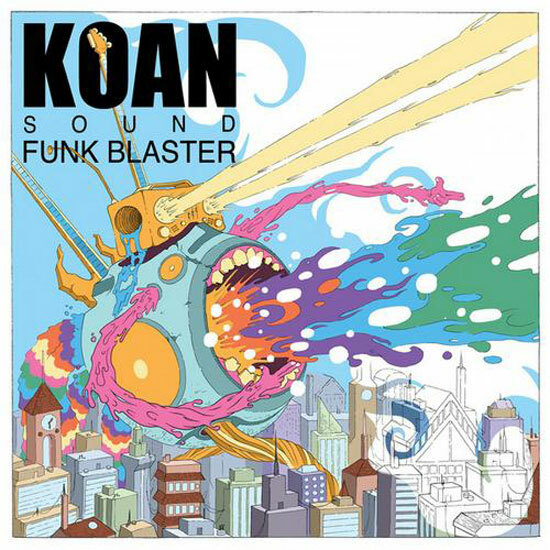 They even make Skrillex sound better: Skrillex – Kill Everybody (KOAN Sound Remix) (right click save as to DL). I think this just about qualifies as 2011. Deekline & Ed Solo's Hot Cakes series has been a non-stop hit factory of classic d'n'b / breaks remixes for the last few years and I've been giving this double A side with Stickybuds heavy rotation all year. D'n'B versions of Aloe Blacc's Need a Dollar and Adle's Rolling in the Deep also worth checking out. I seem to remember this coming out in 2010, but since I Need a Dollar didn't get a UK release until 2011 and I've been playing it every chance I get, I'm including it here. This is Jpod at his bouncy, soulful remixing best. Later in the year the EMS EP with the Root Sellers on vocals was brilliant laid back mid tempo glitch hop and he's just released his first debut album Halfsteppin through his own Swing Set Sounds label. In a much apprecited gesture, you can buy FLAC, wav and MP3 all for one price directly from the label. You can also get instrument tools to cook up your own sounds on Ableton. Brilliant. ill-esha makes lush music and Reverie is such a beautiful laid-back bass album. I usually reach for it after a party, but it's also perfect in headphones on a nice day. Has had one of the longest rotations on my mp3 player this year. 2011's been an epic year for this duo from Reno, Nevada, with two EPs on Simplify followed by an awesome collaboration with Stephan Jacobs and their first album in the autumn. Their set that I caught on the Temple of Boom at Burning Man was amazing. After the promise of 2010, 2011 has been an amazing year for Stephan Jacobs with the Mad Era and In the Vortex EPs plus brilliant collaborations with NiT GRiT, Ben Samples, Love and Light and +Verb. The set I caught at Burning Man for Dub Scouts completely absorbed me. Check out his recent memekast for a taste of how good he is. This Benny Benassi gets my Jacobs tune of the year award though, with Pizza Party's Don't Stop (below) a close second. As the soundtrack to my summer, and with a nostalgia that makes me remember summers at school 10 years ago, this is my pop pick of the year. Always gets people dancing and smiling! Ok, this was a 2010 release, so a bit of a cheeky bonus, but it's been another soundtrack to this year. Soulful reggae, ska and hip hop combined in a feel good album by a band who are even better live! The other 2010 discovery for me this year was Lotek's International Rudeboy. Like Roots Manuva in dub, but more variety.